C/O Kancharapalem, an independent Telugu film, directed by G R Venkatesh, aka Maha, has been selected for the prestigious New York Indian Film Festival. The film festival is one of the biggest in the US which focuses solely on Indian films and after several years, the jury has chosen a Telugu film for the fest. 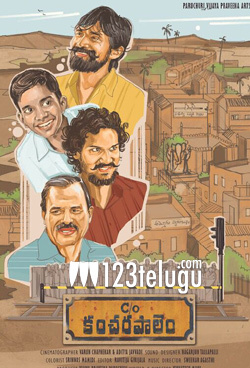 According to the official synopsis, the film revolves around four characters living in Kancharapalem, Vizag, and it explores their lives and lifestyle. “C/o Kancharapalem is a collage of love stories and follows Raju a fifty-year-old man who is still unmarried; Sundaram a school going kid who falls in love with his classmate, Joseph a wayward youth who falls for a dancer and Gaddam who is deeply in love with a prostitute. C/o Kancharapalem explores their struggles with love and life,” NYIFF’s official website revealed. The film was shot over a span of several months in Vizag, and in the past few weeks, it had several test screenings in Hyderabad. After getting a big thumbs up from the early screenings, the makers are said to be keen on taking it to several film fests before releasing it in theatres.